​Mid-Atlantic will work diligently with architects, developers and engineers to acquire all of the appropriate permits for your specific project in Rockville, Md. Our permit expeditor, Ken Padgett, is an expert when it comes to dealing with the city officials and getting your permits pulled fast. He will do everything to ensure that your project is on schedule. Getting permits pulled fast for many different projects within many different municipalities, is what we do here at Mid-Atlantic Permits. In addition to Rockville, Md., Ken is familiar with the entire Mid-Atlantic Region. As a permit expediter, he has an inside view of how to complete you project the correct way and most importantly, rapidly. What can Mid-Atlantic Permitting Services, LLC do for You? Ok, so that may sound a bit cynical, however, this is how most people feel about the permitting process. It can be grueling. Waiting in line for several hours only to find out that you need yet another form to finish your process is a waste of your precious time. Let Rockville Permit Expeditor do the running for you. - Submit all necessary documents to the agencies for review. -Perform status checks on a regular basis until the plans are approved or corrections need to be made. -Make the corrections if needed and submit to client/ architect for approval. -Resubmit to each appropriate agency. -Finally, ending the permitting process by gathering all paperwork for the final sign-off. Mid-Atlantic Permitting Services, LLC is here to provide outstanding support and guidance to our clients throughout the entire permitting process. 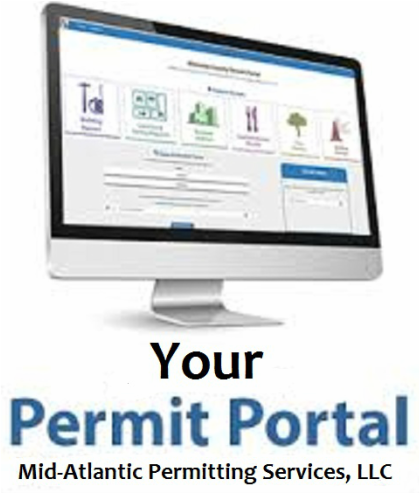 Permit expediters are consultants that are hired to do the tedious and sometimes excruciating tasks that come along with the permitting process. Here at Mid-Atlantic we will do all of the legwork for you. In order to get your permits to go through to city or county government permitting processes promptly, we represent our clients for zoning, architectural review and variance hearings. It is our mission to understand the local building codes and advise the owners, architects and engineers on how to get their building projects approved more quickly. If you are a commercial contractor, it is most beneficial to hire a professional expediter as soon as possible in order to get the process underway quickly. We will do our homework and due diligence on the property in question as well as provide you with a detailed report. This report will let you know what it will take to permit your project, including time frame, applications necessary, and the cost. When is a Sign Permit Necessary? A sign permit for a permanent sign is required before any exterior sign, as defined by the Montgomery County Zoning Ordinance, may be erected in the county. This requirement applies to all types of signs, including free standing, wall-mounted, and marquee signs. Illuminated signs require both ½ sign and electrical permits. ​A Right of Way (ROW) Permit is required for all utility construction, reconstruction, relocation or maintenance activities within the county right-of-way or easement. It ensures that the work is performed in a safe manner and that the right-of-way is restored properly. All utility construction work shall be completed in accordance with the latest edition of the Montgomery County Specifications for Utility Construction Permit. An electrical permit is required for work that involves installing, relocating, repairing, or maintaining any electrical wiring or device designed for conducting, consuming or converting electrical current. ​When is a Plumbing Permit Required? Plumbing permits are required for all plumbing work incidental to the construction of a single-family dwelling or other structure.